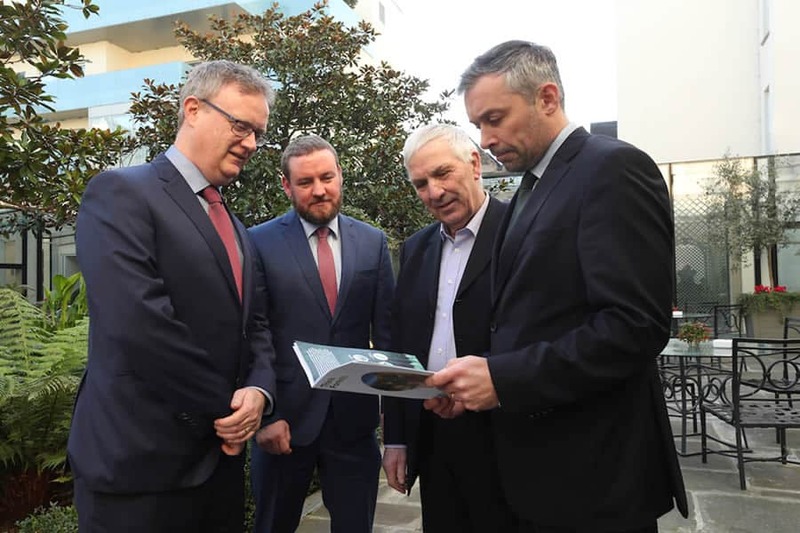 Daragh Little, Managing Director Forestry of VEON Ltd, is a founding member of Forest Industries Ireland (FII) which places timber and forestry at the heart of Ireland’s rural economy. Commenting at the launch of FII, Daragh highlighted the importance “of engendering and promoting a national timber culture to ensure that all Irish citizens, both rural and urban, develop a better understanding of how crucially important a healthy, vibrant forest sector is to their environment and also for our national economy”. FII brings together companies from across the forestry and timber supply chain, from forest owners and forestry companies, to timber processors, wood product manufacturers, and renewable energy producers. With a combined turnover of over €800 million, the industry is a major player in the rural and national economies. Our companies take pride in the high-quality employment we provide and the sustainable products we deliver. The industry is enjoying a period of major capital investment, market buoyancy and substantial growth in wood supply. These three elements will underpin growth for the industry that will see it double in size in the next two decades. Pictured: Daragh Little, Managing Director Forestry of VEON Ltd, John Murray, Managing Director of Murray Timber Group, Jim McNamara, Managing Director of Laois Sawmills and Mark McAuley Director of Forest Industries Ireland. FII and its member companies are committed to engendering the highest standards in the industry. Competitiveness, climate action, and sustainability go hand in hand and underpin long term growth and prosperity across this dynamic industry. We are proud to be delivering quality jobs especially to our rural communities, and making a major contribution to the Irish economy, our society and the environment. The forest industries make a €2.3 billion contribution to the economy and create 12,000 direct and indirect jobs. The industry is growing fast. By 2035, turnover will double from €800 million to €1.6 billion. Ireland is perfect for growing conifers. Our climate ensures rapid growth, high productivity and competitive products. Half of our forests are privately owned by 21,000 individual owners across the country. Each year, Irish forests sequester 3.6 million tonnes of CO2 – that’s equivalent to 80% of the CO2 emitted annually cars on Irish roads. The total forest carbon sink is now 312 million tonnes. Timber is nature’s answer to building houses from an entirely renewable resource. Irish forests are managed to guarantee ever increasing forest cover. Ireland has one of the world’s most sophisticated and technologically advanced timber industries. Timber products replace carbon intensive construction materials. Wood based bioenergy replaces fossil fuels. Ireland’s forests deliver employment, exports, carbon sequestration, cleaner air, renewable energy, recreation opportunities, landscapes, biodiversity, flood prevention and much more.